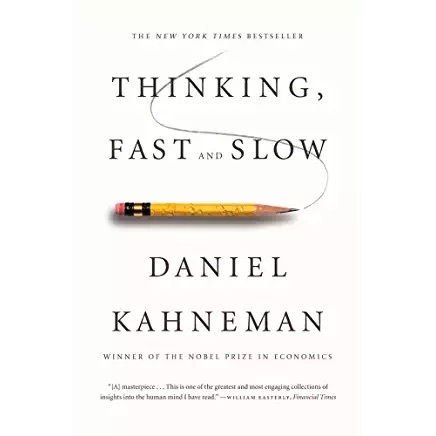 Thinking Fast and Slow: How the Brain Works by Noble Prize winner Daniel Kahneman takes us on a groundbreaking tour of the mind and explains the two systems that drive the way we think. The fast system is intuitive and emotional, The slow system is more deliberative and more logical. This highly anticipated book can help you better understand your own thinking and make better decisions. Daniel is the Eugene Higgins Professor of Psychology Emeritus at Princeton University and Professor of Psychology and Public Affairs Emeritus at Princeton’s Woodrow Wilson School of Public and International Affairs. He won the Nobel Prize in Economic Sciences in 2002 for his pioneering work with Amos Tversky (1937-1996) on decision making. The prize was awarded for his seminal work in psychology that challenged the rational model of judgment and decision-making. His ideas have had a profound impact on the fields of economics, medicine. and politics. He remains the only non-economist to win the Nobel in economics. Daniel’s aim is to improve our ability to identify and understand errors of judgment and choice in others, and eventually ourselves. To do so he provides a richer and more precise language to discuss them. He uses the term System 1 to refer to fast thinking. This includes both variants of intuitive thought, the expert and the heuristic or rule of thumb system nonexperts use. It also includes the entirely automatic mental activities of perception and memory. System 1 turns out to be more influential than one’s experience suggests and is the secret author of many of the choices and judgments we make. System 2 is the slow, more deliberate, and more effortful system. It involves the choice to use it and concentration. System 2 is in charge of self-control. Together the form two characters that inhabit your mind. Daniel sites the Invisible Gorilla experiment (Check Dr. Doug’s Book Summaries for a summary of the book by Chabris and Simmons http://bit.ly/supqh7) as an example of how we can be blind to the obvious and blind to our blindness when we miss obvious things while engaged in deep System 2 thinking. System 2 is too slow and inefficient to substitute for System 1. This makes it hard to avoid mistakes but easier to stop the mistakes of others. Errors of intuitive thought are often difficult to prevent and biases are difficult to avoid. Both systems are active whenever we are awake. System 1 runs automatically, which means we can’t turn it off, while System 2 is normally in a comfortable low-effort mode. When System 1 runs into difficulty, it calls on System 2. System 2 is also activated when events violate the model of the world System 1 maintains. Chapter 2 describes an experiment you can do that shows how your pupils dilate as you engage in demanding System 2 activity. 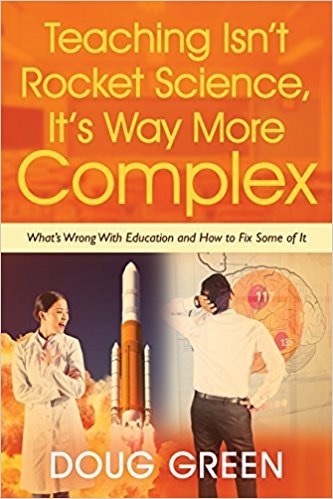 In chapter 3 we find that System 1 is more influential on behavior when System 2 is busy. You are more likely to give in to temptation. A few drinks or a sleepless night will also impact self-control. Physical and emotional effort also tilt the control towards System 1. Fatigue and hunger cut into System 2’s effectiveness. (Dr. Doug: Would it help to let students take in sugar during a test?) Studies show that self-control and intelligence are correlated. This entry was posted on Friday, December 2nd, 2011 at 2:59 pm	and is filed under Book Summaries, Business Books, Education Books, Leadership Books. You can follow any responses to this entry through the RSS 2.0 feed. You can leave a response, or trackback from your own site. I read a review in the New York Times. righnt now. (from what I’ve read) Iѕ that what you агe using on your blog?